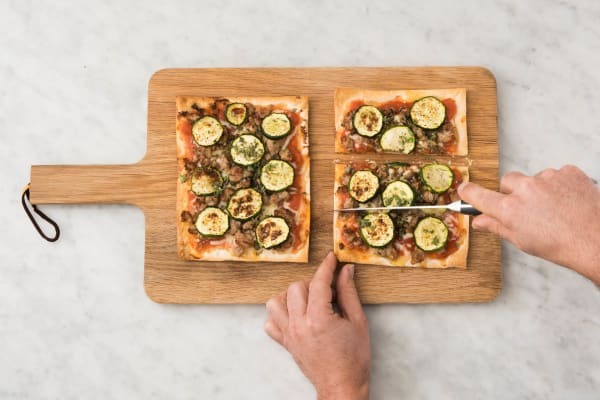 Put down the phone for delivery: this dinner is all about creating a masterful flatbread on your own terms. You’ll practice topping the base with layers of tomato sauce, cheese, and sausage. And because a little bit of green is always a plus, there are slices of zucchini and some fresh oregano, too. 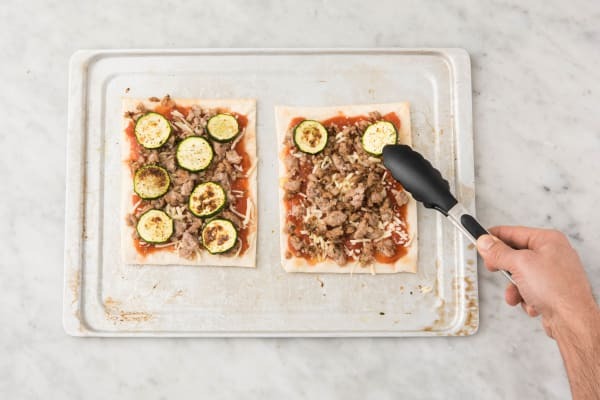 All these ingredients work together to deliver a baked masterpiece that will keep you by the oven door, anticipating the moment of peak meltiness. Preheat broiler to high or oven to 500 degrees. Wash and dry all produce. 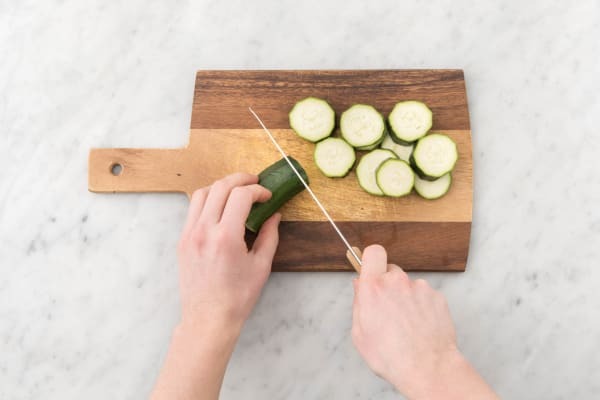 Slice zucchini into ½-inch-thick rounds. Pick oregano leaves from stems; discard stems. Roughly chop leaves. 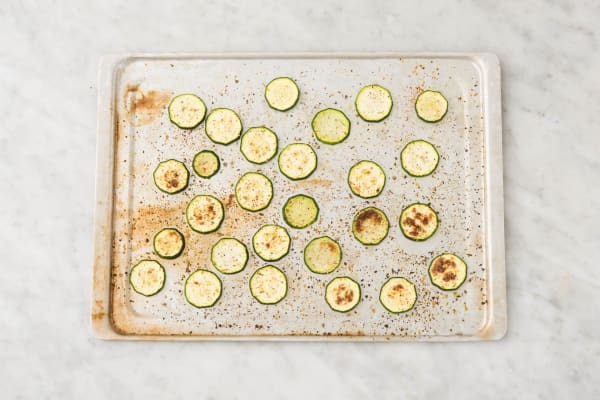 Place zucchini on a lightly oiled baking sheet. Season with salt, pepper, and ½ tsp Italian Seasoning (we’ll use more later). Place under broiler and broil until softened and browned, 5-7 minutes. (TIP: Keep an eye on the zucchini—it can burn.) Remove sheet from broiler, then adjust oven temperature to 450 degrees. Heat a drizzle of olive oil in a large pan over medium-high heat. Add sausage and half the oregano. 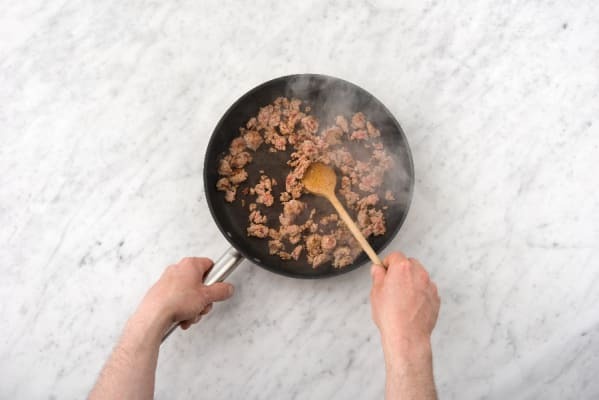 Cook, breaking up meat into pieces, until browned and cooked through, 4-6 minutes. Remove pan from heat. Meanwhile, place flatbreads on another baking sheet. Toast in oven until lightly browned, 5-7 minutes. 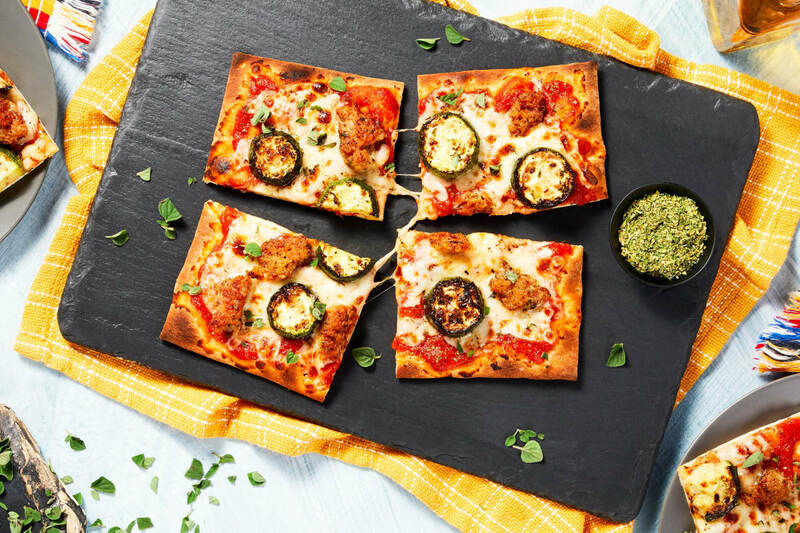 Spread a thin layer of tomatoes on toasted flatbreads (we used half the box). Season with salt, pepper, and ½ tsp Italian Seasoning (you’ll have some left over). Evenly top with sausage, zucchini, and mozzarella. Bake flatbreads until edges are golden brown and cheese has melted, 4-6 minutes. 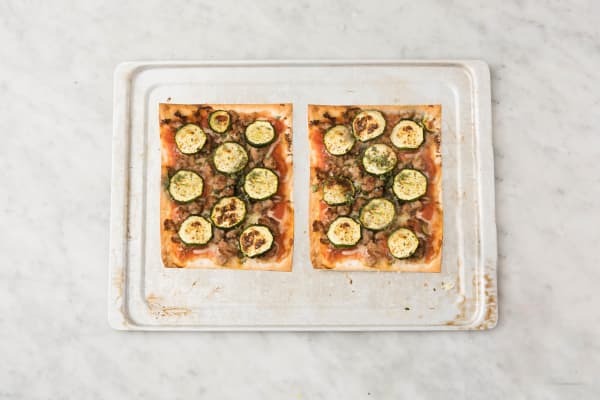 Sprinkle flatbreads with remaining oregano (to taste), then cut into slices and serve.